Being Frugal and Making It Work: Mother's Day Contest - Nominate Your Mom! (50 Winners: Each will get a Wahl Therapeutic Massager)! Mother's Day Contest - Nominate Your Mom! (50 Winners: Each will get a Wahl Therapeutic Massager)! We all know that a mom's job is never done, they are on call 24/7, and rarely get a break! Every mom deserves a relaxing massage, where she can let all her worries and stress simply fade away. Whether toting the groceries, chasing the kids or multitasking between chores, work, and playtime, being a mom is hard work, and we love them for it. This Mother’s Day, you’ll have a chance to show the moms in your life just how much you appreciate everything they do on a daily basis by offering them some much-deserved relief. 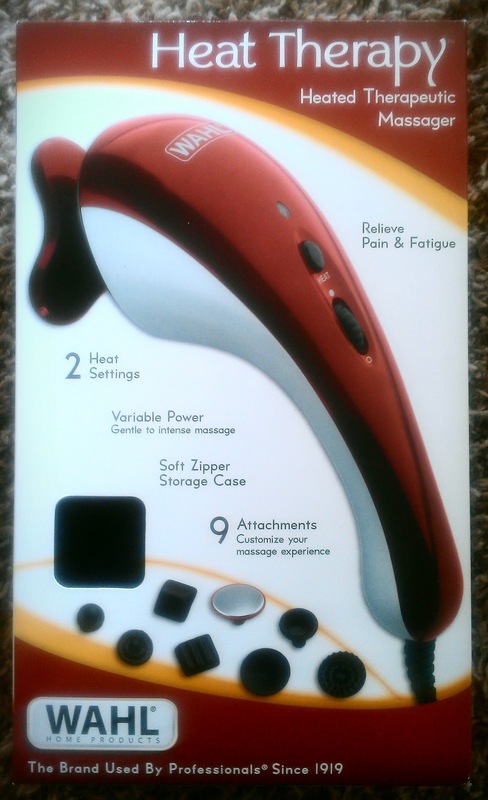 A Wahl deluxe heat therapy massager will help your mom relax and de-stress. The heat settings and different attachments are able to pamper mom in the way that she deserves. Now through May 13, Wahl will be conducting a contest and giving away 50 Wahl therapeutic massagers to 50 hardworking and well-deserving moms to help them ease the aches and pains that come with their busy lives. Entering is simple, just share a story that conveys your appreciation for the mom (aunt, grandma, daughter, best-friend...) in your life and why she deserves some relief. Entries will be judged on their uniqueness and sincerity, make your story come straight from the heart. Make sure to submit your entry by May 13 so that your mom will be considered for the prize. To enter the Mom Relief Initiative, simply post a comment explaining why the mom on your list deserves relief — maybe she's a single mom who does it all, a hard working mom who never takes a break, a grandmother who has always been there, your best friend who has been there through thick and thin…every mom has a story and every story matters!